Count on it! These things are worse than potato chips! Now listen here. I know this, you know this. No need to make it public. No tep on nek!!! Thanks everyone! I have a real thing for the soft colors and pale yellows...does it show? 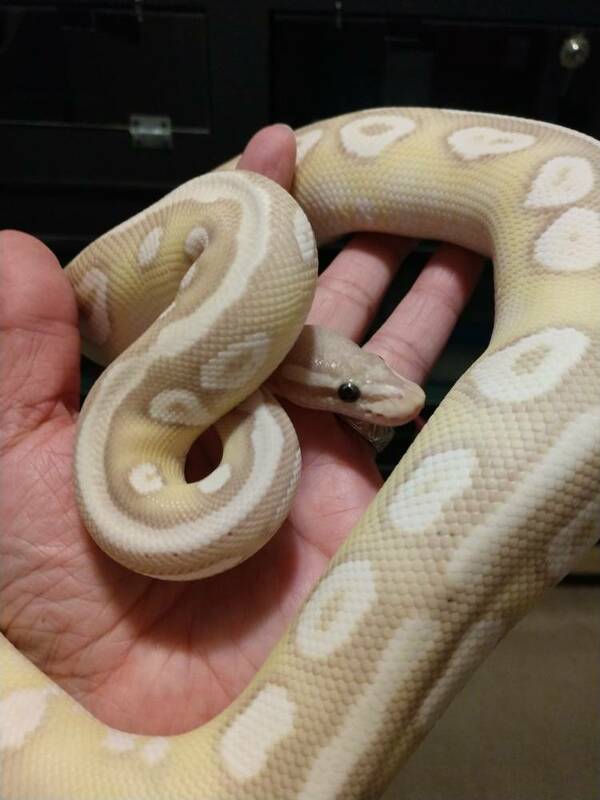 lol She was a beauty in the Morph Market picture, but I think even lovelier in person...I may be biased. 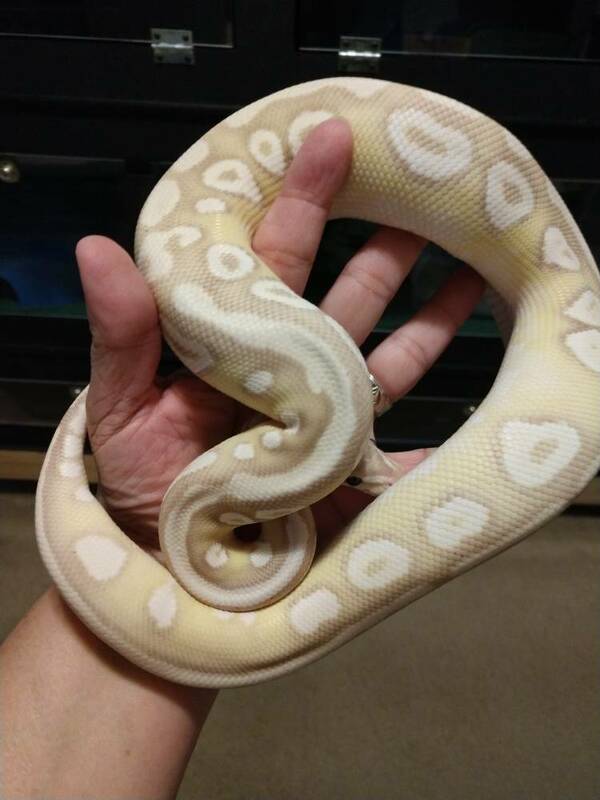 Of my 9 ball pythons, 5 are some version of yellow, 1 is a pied (half white), 1 is a BEL, and 2 are darker colored (normal and Mojave, so not but so dark). MR Snakes, resistance is futile. Speaking of resistance, I was talking to one of the cruise-in folks last night at a birthday/Christmas party for one of our crew. Her teenaged daughter was at the gathering and pretty bored until I mentioned I had snakes. We are now planning a field trip to my house after the holidays, and I’ve offered to take her to the next reptile show in Richmond. Mom & Dad are saying “no danger noodles”, but I suspect it is just a matter of time. I’m fairly new to the morphs as well...there are just so many choices! 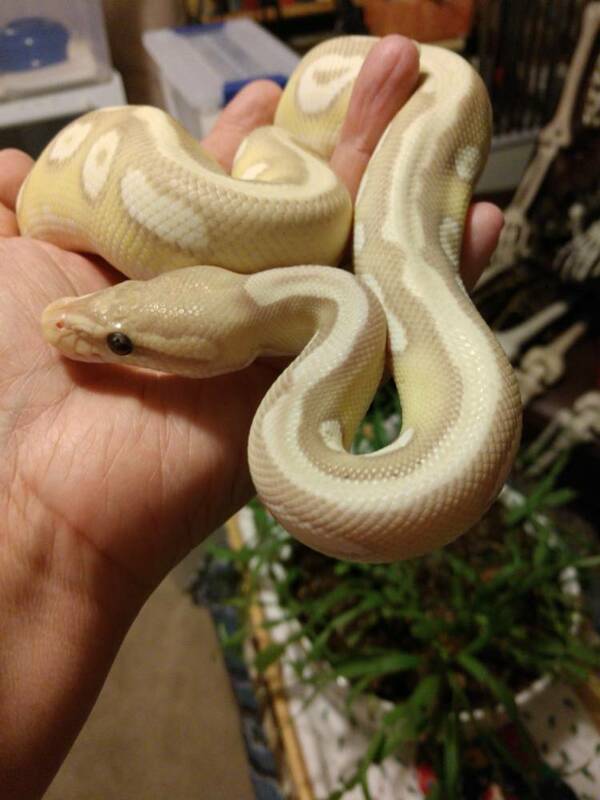 Two of my first three purchases this year were a piebald female and a blue-eyed leucistic male. 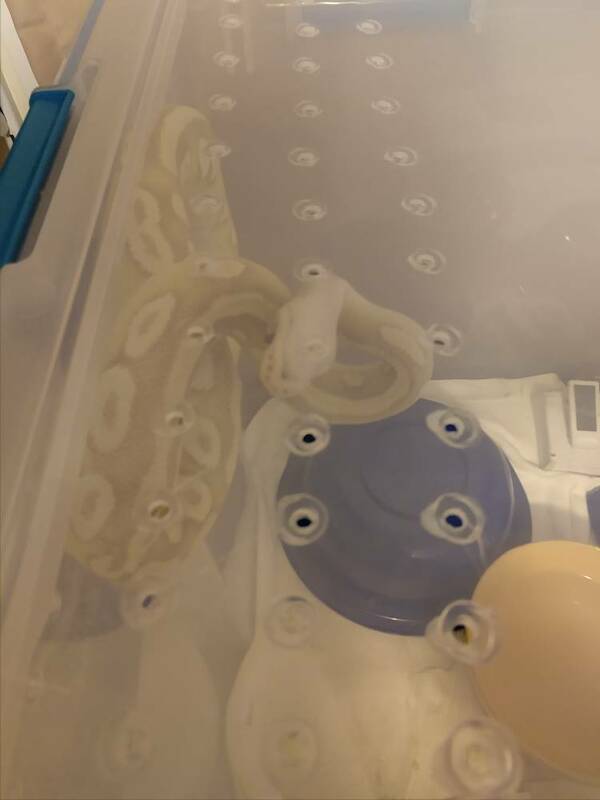 No plans for breeding, I just wanted these two morphs since they first came out and cost more than a new car. Then I discovered pinstripes and bananas...I was doomed. Fresh after a shed...and wrecking her tub by smearing poo everywhere. How did she get it on the lid??? Oh, that's how. 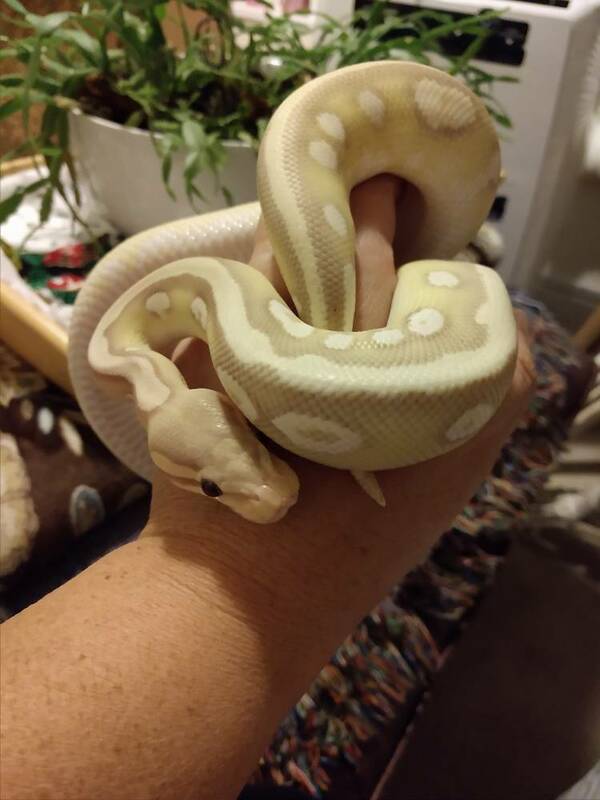 Already she's an active curious girl, definitely no lap snake at this point. She wants to be on the move and into everything. Selene was also feeling a bit shy today. I usually have a hard time getting pictures since she's typically on the move. Today she was content to hang out. On 12/1/19 she weighed in at 431 grams. Today she weighed in at 562 grams, just a touch behind Sabrina. Thanks Cletus! I’m pretty partial to Selene myself. That creamy yellow is just too pretty. 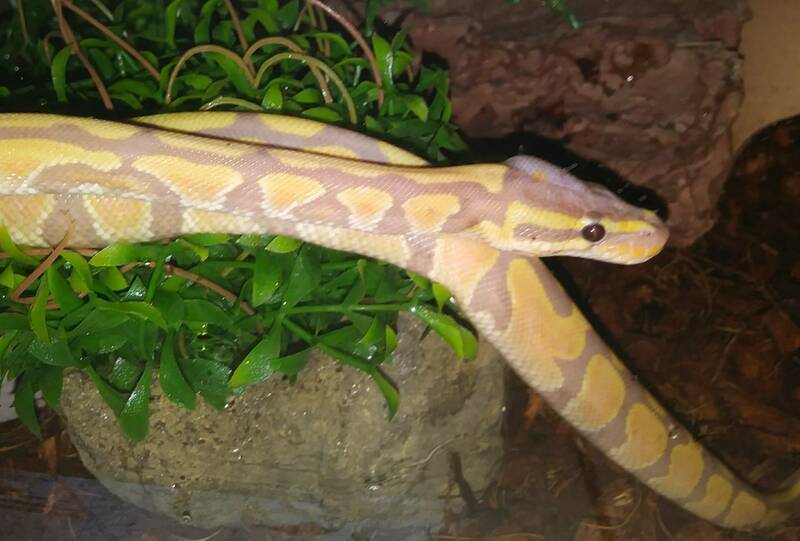 I swear she gets better each shed.